Freshwater Salt System - What is it? A hot tub is a great way to relax, heal and rest after a long day. And with financing options and varying price ranges, there’s a hot tub to fit nearly every budget. Yet even with the many benefits associated with spas, some still find themselves hesitant to “take the plunge” into HotSpring hot tub ownership. Available on all Highlife® Collection and Limelight® Collection spas, this easy-to-use salt water system eliminates the worry of keeping spa water clean, clear and sanitised for a full year. * With just a little salt in your hot tub water, the system generates chlorine and active oxygen automatically so you’ll spend less time measuring and adding chemicals. 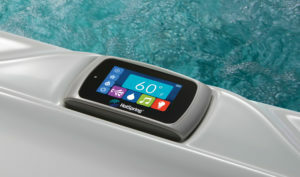 This unique system makes hot tub ownership easier than ever by removing the guesswork and hassle of water care maintenance. With HotSpring Southwest and Wales’s new FreshWater Salt System, you’ll spend more time soaking, and less time maintaining! So, Freshwater Salt System how does it work? Use the control panel to set the system level needed to clean the water based on your usage needs. With fewer additives and less chemicals, the spa water stays cleaner longer. hot tub water lasts 12 months before it needs a drain and refill. 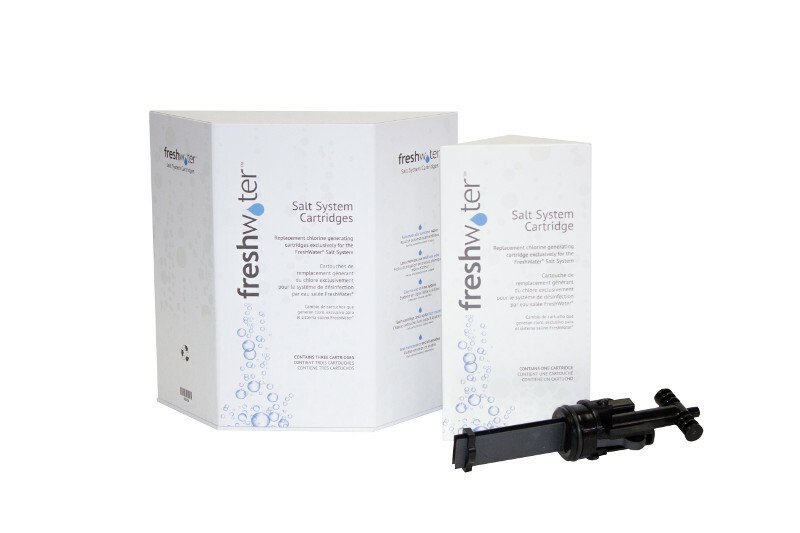 FreshWater Salt System saves on maintenance time, conserves water and saves money.